Hossein Ordoubadian from the international and well renowned Accent Language Service lead a highly appreciated NDPIA workshop on English writing that provided participants with analytical and revision skills useful for both grant application and scientific article writing. Link to additional information about the workshop. Guillaume Dumenil (Institut Pasteur, France), Tone Tønjum (University of Oslo/Oslo University Hospital, Norway) and Sarah Butcher (University of Helsinki, Finland) held prized keynote talks interspersed by 14 short oral presentations selected from 40 submitted poster abstracts. The posters were viewed and discussed in groups consisting of keynote speakers, senior researchers and young investigators. The lively discussions at the poster boards showed that the presenters received a lot of input on their posters and research projects. Astrid von Mentzer (University of Gothenburg) was awarded by SFM for the best oral presentation and Sofia Berggren (Uppsala University) for the best poster presentation. 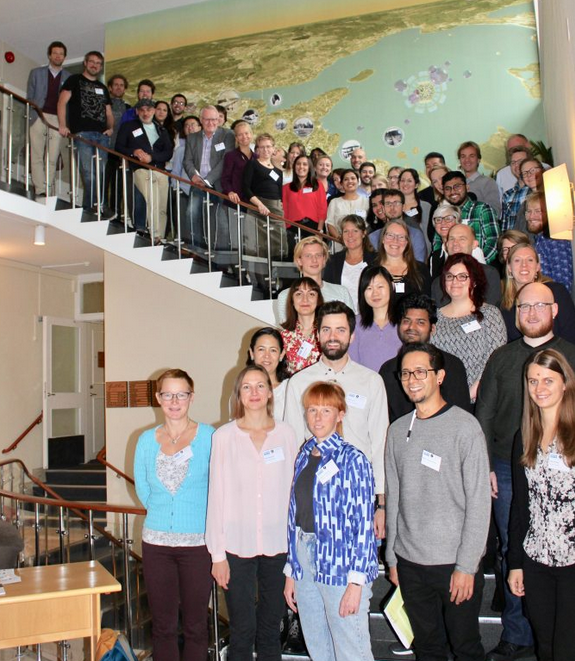 Åke Forsberg, National co-ordinator of NDPIA (Umeå University): “I was very much impressed by the young researchers of our programme, who presented their research in excellent talks and posters. It was really nice to see how they interacted with the senior researchers including the invited keynote speakers”. “After the writing workshop where I improved my English writing skills I got the chance to give a talk about my research project. This was not only useful in order to receive scientific feedback from invited top scientists who participated at the conference, but also a great opportunity to improve presentation skills in front of a bigger audience”, commented Anette Schulz, NDPIA postdoc at Karolinska Institutet. 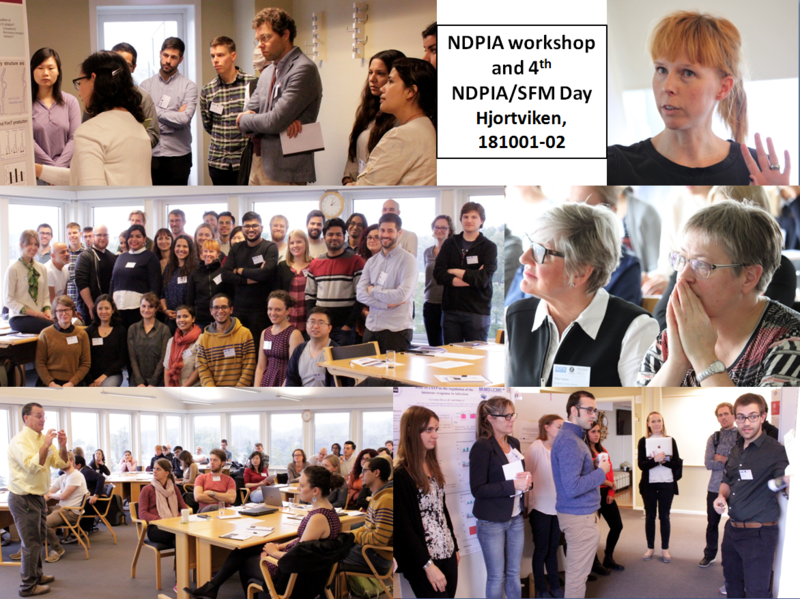 Previous PostReminder – registration deadline 3 October for “Live Imaging of Intracellular Infections” in Linköping 181112-16Next PostNDPIA Ambassadors appointed!